Peng Wei, Robe Series, ink painting (2002-2012). © 2003-2012 by Peng Wei. Permission to reprint may be obtained only from the artist. This work appears on the Spring 2015 issue of Signs. 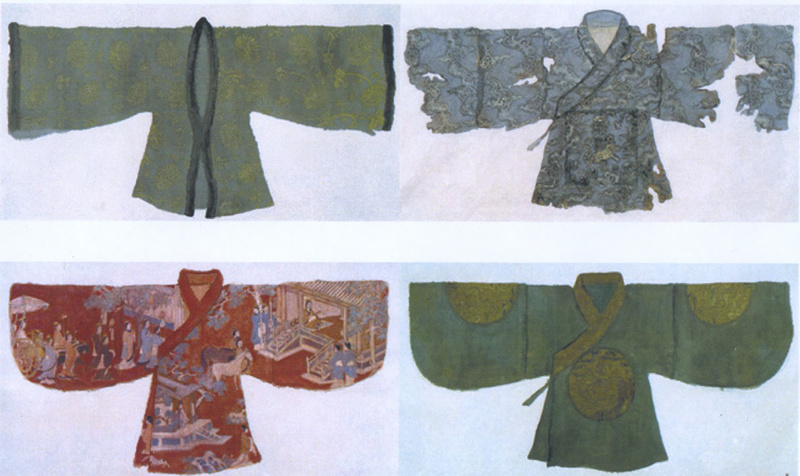 Robes or shoes, even underclothing, possess infinite varieties of types, styles, and colors, which can be mixed together in a multitude of ways. Besides being implicated in body politics or serving as symbols and declarations of identity, they are also capable of achieving a kind of state of mind. They add value to emotion, and in a clamorous and chaotic world, they can be enriched with a dispassionate self-expression. Peng Wei was born in Chengdu, China, in 1974. She received her bachelor’s and master’s degrees from Nankai University in philosophy and Oriental art. From 2000 to 2006, she served as editor of ART Magazine in Beijing. Currently, she works as a professional artist affiliated with the Beijing Fine Art Academy. Her works have been collected by the Boston Museum, the Brooklyn Museum, the Asian Art Museum of San Francisco, the National Art Museum of China, the Hong Kong Museum of Art, the M+ Museum, the Guangdong Art Museum, the He Xiangning Art Museum, the Sigg Collection, and the DSL Collection, among others.